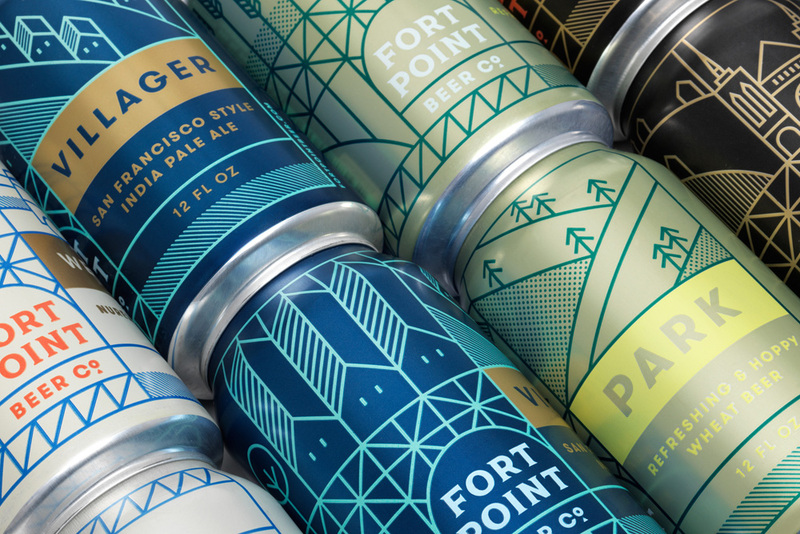 Meet Fort Point Beer Co. The beer comes from us from San Fran. A place I have yet to visit but is most definitely on the list. To broaden their reach and bring their beers to the public, the brewer has launched a line of 12 oz cans and a new identity designed by local firm Manual. Let's just sit and appreciate the goodness of this launch. First off, Manual does great work. Beautiful clean work. Strategically driven effective work. line art. color. a tasty chunky serif face. attention to details on the negative spaces of the building illustrations. the colorful and amazing color combos on the packaging. 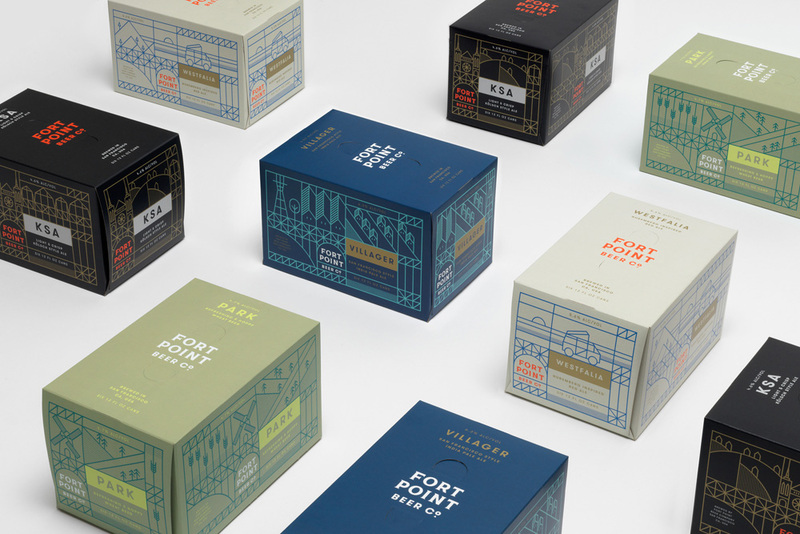 the contrast and simplicity of the two color packaging on cardboard. It is with great please Manual that I clap twice and proudly voted Great on the logo and Great on the packaging via Under Consideration. Keep up the good work and hopefully I will see you guys in San Fran soon.